Advocate Shabbeer Basha.M has been practicing and handling cases independently with a result oriented approach, both professionally and ethically and has now acquired over 14 years of professional experience in providing legal consultancy and advisory services. 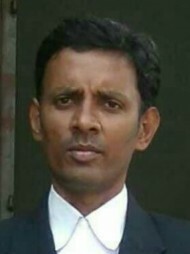 Advocate Shabbeer Basha.M's office is in ITPL,Main Road, Bangalore. Questions Answered by Advocate Shabbeer Basha.M Sold a studio light online now buyer harassing and threatening Charge sheet not submitted after several written reminders.